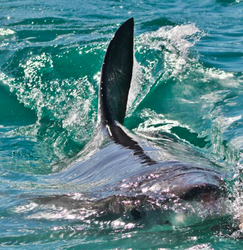 Observe...the dorsal bending as the shark turns, cutting the water perfectly, creating a vortex behind the body. 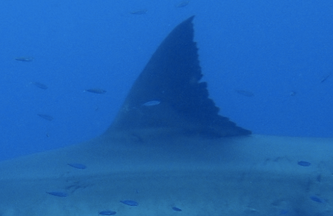 If the defacing of perfect design wasn't reason enough not to bolt on SPOT tags, how about the fact that 450-million years of design happened for a reason? Who are we to deface one of nature's beauties or assume anything in that creature's design is not necessary and important? 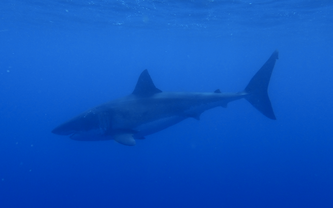 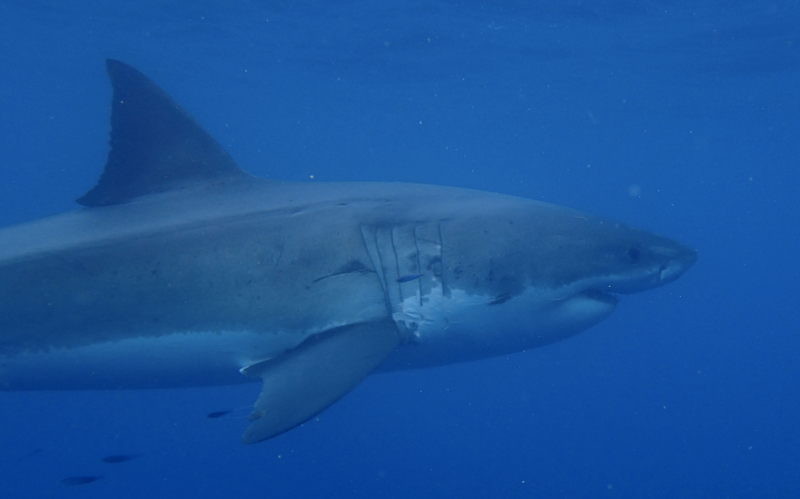 Click here to compare to SPOT tagged fins. 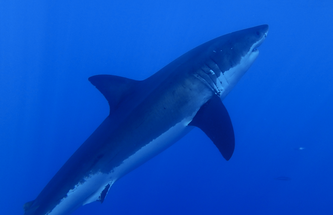 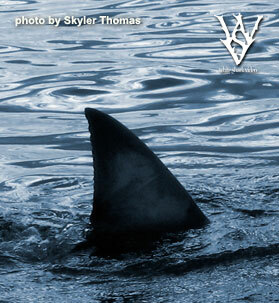 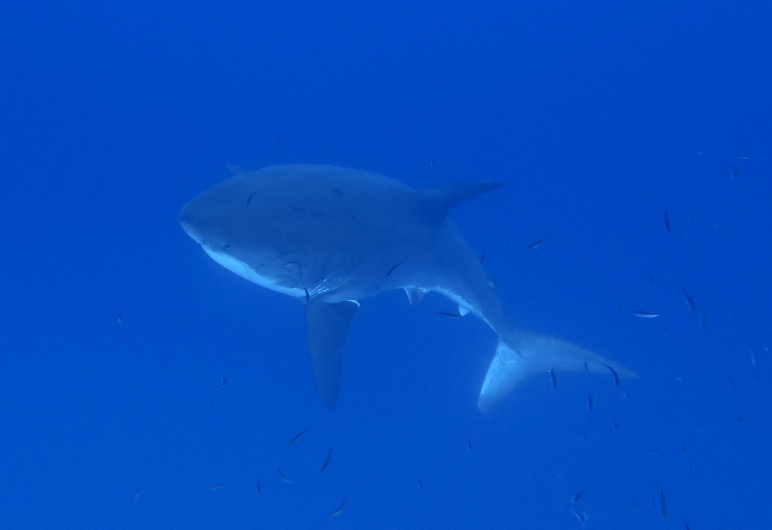 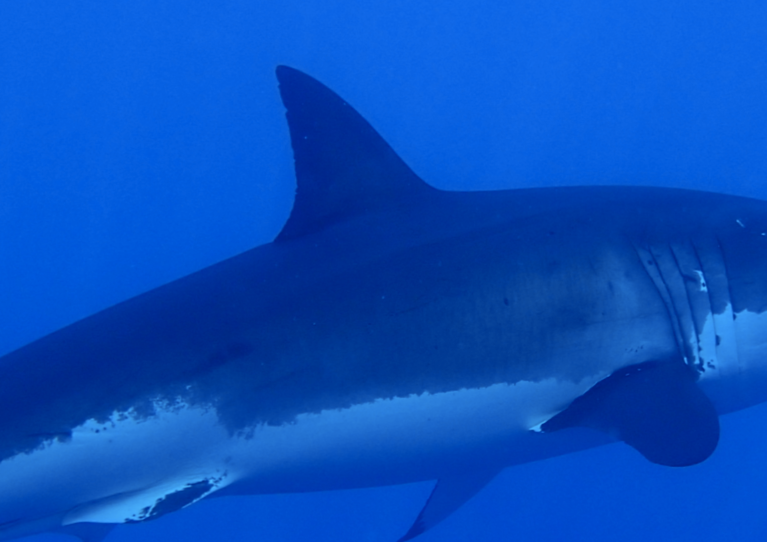 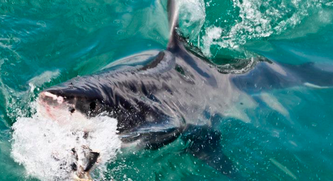 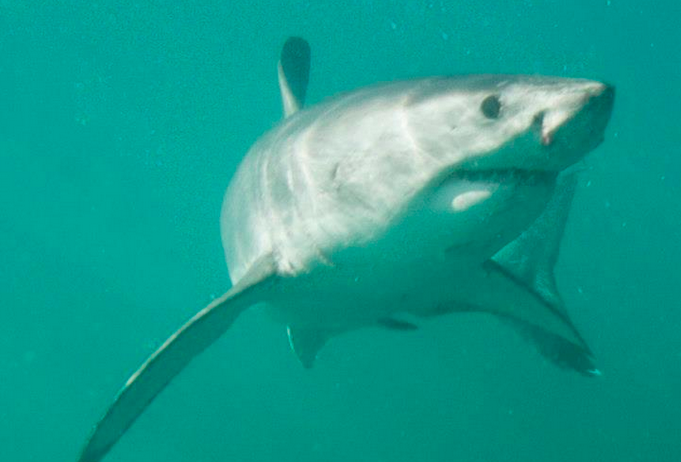 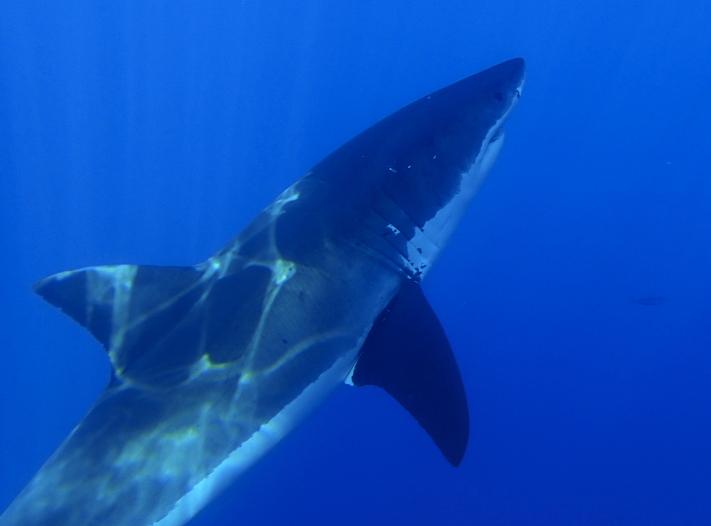 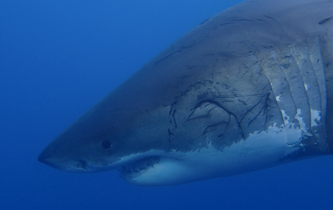 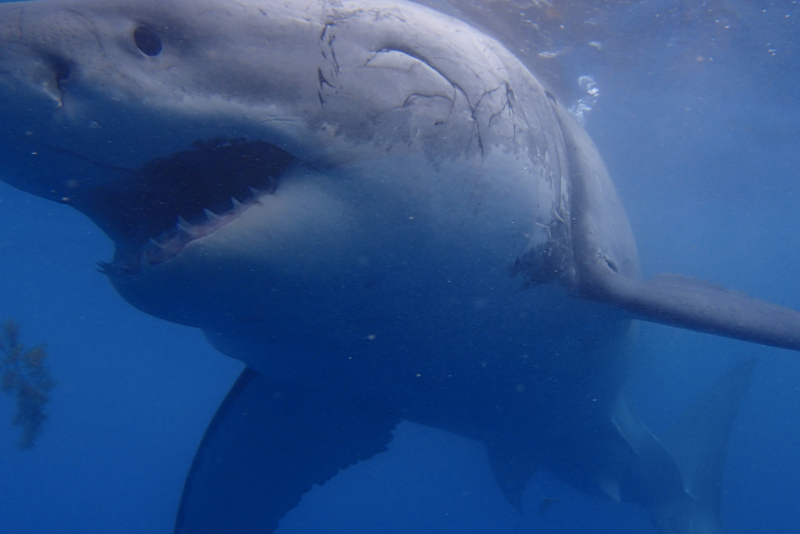 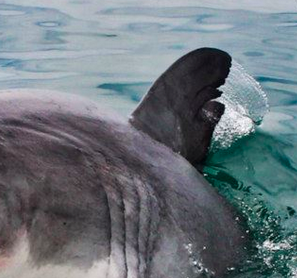 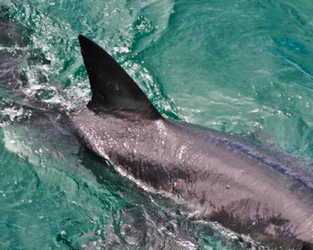 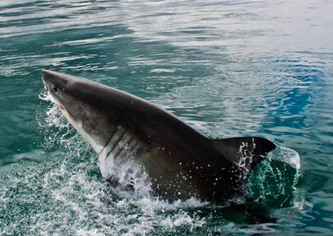 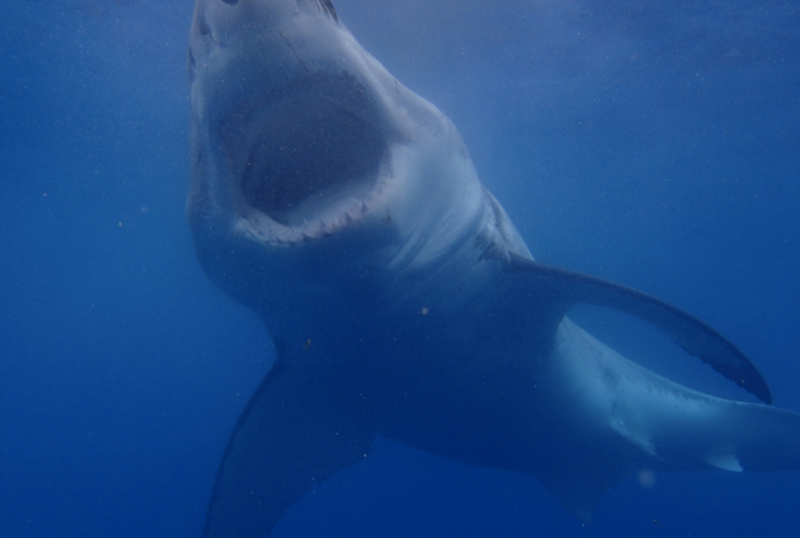 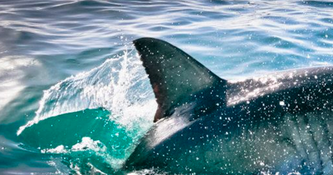 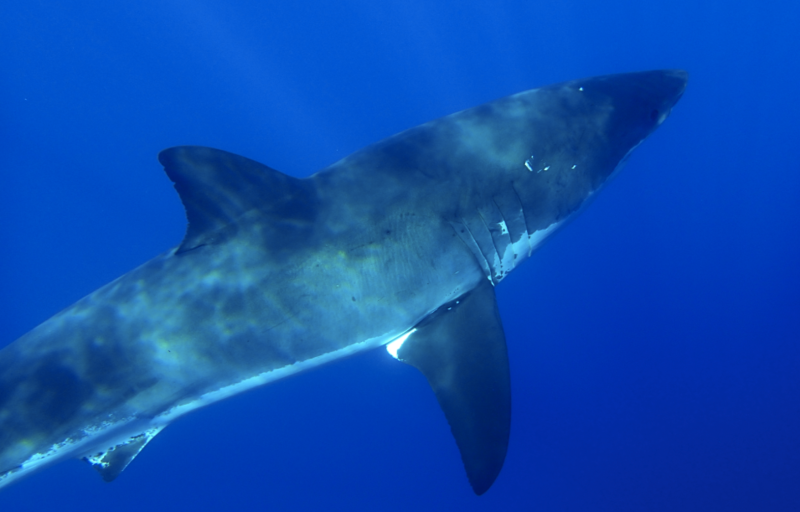 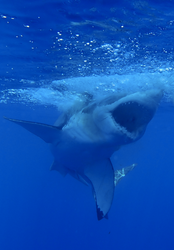 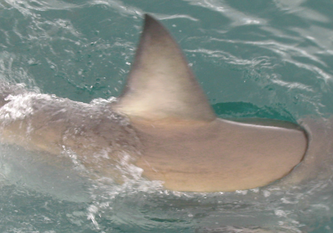 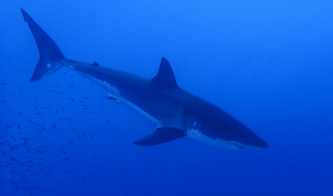 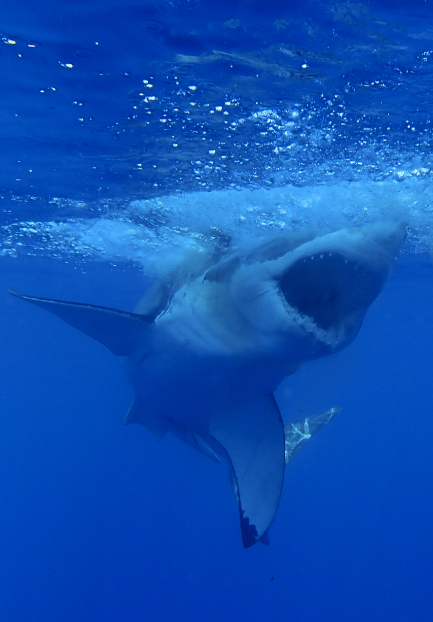 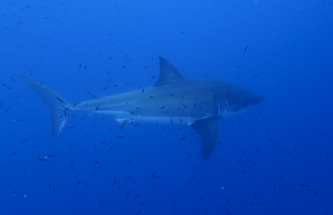 Read a paper regarding the white shark's dorsal fin here.